If September is Lucca’s month, so full is it of processions, fairs and other events, June is definitely Pisa’s moment of glory and festivities. San Ranieri is the patron saint of Pisa and for three days this month he is celebrated in style by the inhabitants of one of Italy’s four ancient maritime republics (the other three, in case you didn’t know, are Amalfi, Venice and Genoa). Ranieri Scàcceri was born in Pisa in 1118 and died there in 1161. He was a hermit who travelled to the Holy Land, became a miracle-worker, was adopted as Pisa’s patron saint and is buried under the high altar of its wonderful cathedral. 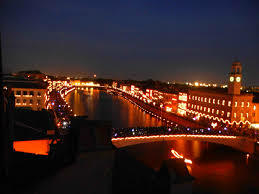 On the 16th the Luminara lights up the city with over 100,000 candle-lanterns. I’ve seen this magical evening on a previous occasion and it casts a delightfully archaic light over the city’s river front and the area round the leaning tower. The Luminara is something not to be missed and gives one the best impression of what a mediaeval city would have looked like before the invention of electricity. Lucca’s own Luminara on the occasion of the celebration of the “Santo Volto” in September gives a similar impression but, of course, lacks the peculiarly beautiful effect of the lights reflected into the river Arno which describes a broad arch, rather like a long-bow, through Pisa. Moreover, Pisa’s version highlights the architectural features of its buildings in a stunning manner. The candles appear to be left around after the event and most passers-by help themselves to their remains. The celebrations in honour of San Ranieri continue the next day in the Arno, where the “Regatta di San Ranieri.” is celebrated. Four boats, inspired by the Medici Order of the Knights of St. Stephen (Pope and martyr) founded in 1561 and who played such a leading part in defeating the Muslims at the battle of Lepanto in 1571 (remember Shakespeare’s “Othello”?) from the city’s historic districts (or quarters) of S. Maria, S. Francesco, S. Martino and S. Antonio, respectively decorated with blue, yellow, red and green lights, compete to win the Palio (or religious banner – as in the more famous Palio di Siena) di San Ranieri. 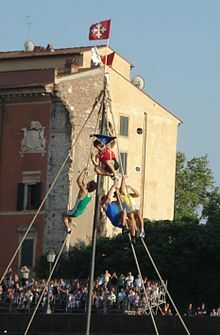 Climbers, known as “montatori”, have to climb up a rope at the finish line to reach the prize at the top of a ten metre high flagpole mounted on a barge in the middle of the river. The last one to arrive gets as a prize a pair of ducks. The race takes place over a distance of 1,500 metres along the Arno and against the river’s current. It is, therefore, a particularly tough exercise, considering also the heavy weight of the boats themselves. The competition begins near the railway bridge and ends in front of the Palazzo Medici Bridge near the city’s fortress. The boats have fixed seats and a crew of eight rowers, a helmsman and the “montatore”. Victory actually does not depend on who wins but on the skill and agility of the first “montatore”, who manages to grab the flag. This customs harkens back to the victorious Battle of Lepanto where the Order of Santo Stefano had to board the infidel ships and win the pennant that was on top of the enemy’s mast. 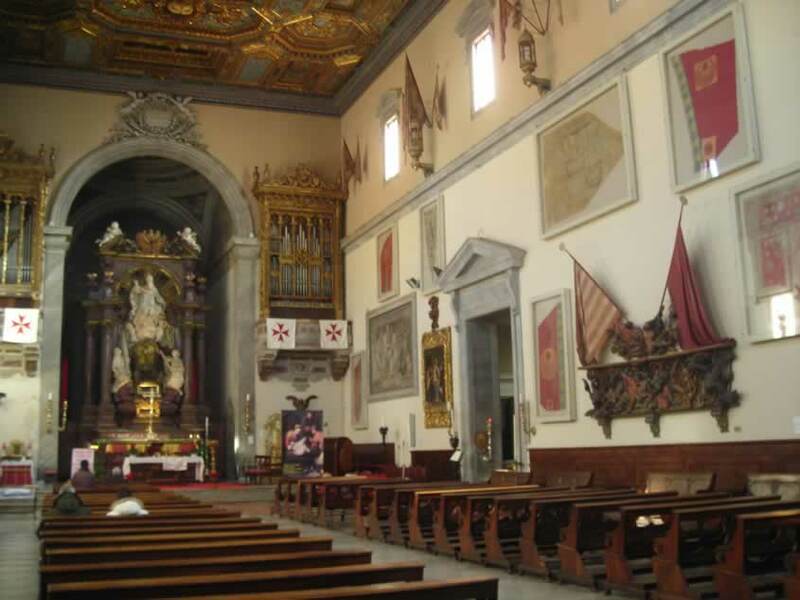 The flags captured then are still preserved today in Pisa’s Chiesa dei Cavalieri. The event we witnessed last night was enhanced by spectacular lighting effects which truly added to the occasion. If you’ve missed the Luminara and the regatta then you can still join in today for the big procession which will take San Ranieri’s remains around the city together with a costumed cortege. San Martino (the red boat) won this year’s regatta followed by the yellow, blue and green boats. This year, too, the “Lorenzo Malfatti” voice academy from Pittsburgh is returning. Fifteen students were selected earlier in the United States to perfect their talents with singing, recitation and drama lessons at the “Boccherini” Music Institute with teachers Sean Kelly, Reed Woodhouse, Franc D’Ambrosio and Barbara Paver, some of whom have already worked in previous years with the University of Cincinnati. The students of the “Malfatti” academy will perform on Wednesday 16th at 9 pm, in Piazza Cittadella 22nd and on Tuesday 22nd at the Praetorian Palace. The program includes music by Monteverdi, Mozart, Puccini, Handel, Haydn, Rossini, Bellini and Tosti. Their final concert, “Celle under the Stars”, is on Friday 25th at Celle di Pescaglia. Free admission. 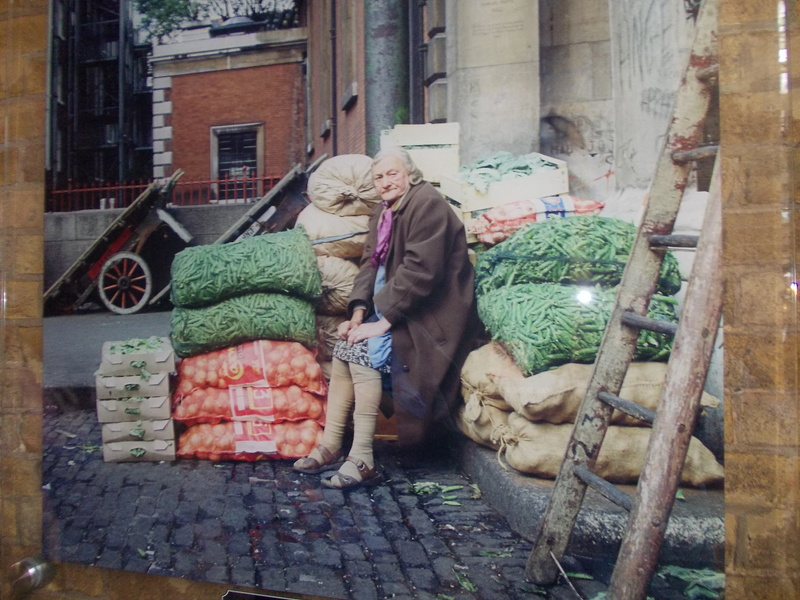 “Cluster”, the contemporary music association, continues its activities with the sound-track to Elisa Zadi’s exhibition, “Sacred Myths and Stories of the men and saints”, at the Fondazione Banca del Monte di Lucca from July 5th to 27th. The exhibition will use the original soundtrack composed by Francesco Cipriano, titled “O crus ave”, for baritone, chorus and piano and recorded recently in Berlin. On Saturday 5th (9.15 pm, Church of San Paolino) the thirtieth Sacred Music Festival organized by Polifonica Lucchese and its conductor Egisto Matteucci will be held. The program, titled “Mater”, includes contemporary choral pieces written in honour of the Mother of Christ and will be performed by the Harmonia Women’s Choir (see photo) and the Piccola Harmonia choir from Venice, conducted by Nicola Ardolino. These two choirs have been awarded many prizes in competitions. The eighth year of the “Peace Organ of Sant’Anna di Camaiore” festival is dedicated to the memory of the wartime massacre at St. Anna di Stazzema. On Sunday 5th, organ recital by Hansjörg Albrecht (see photo) who, on Monday 6th at 9.30 pm in Marina di Pietrasanta, near the Teatro la Versilia, directs the great “Remembrance Concert” with the Munich Bachchor and the Orchestra Regionale della Toscana. On July 13th, we return to Stazzema with the world premiere of “Music for a Church” for two trumpets and organ by Jan Müller-Wieland, with Hannes Läubin, Max Westermann and Luca Scandali. On the 20th there’s a recital by organist Gerhard Weinberger while on the 27th there’s a performance by Edoardo Bellotti. All concerts are free entry and start at 6 pm. Wednesday 2nd at 9 pm in the Church of S. Maria Corteorlandini there’s a choral concert with the American choir, California Central Coast Chorale, conducted by Sean Boulware. The program includes music by Mozart, Pitoni, Vecchi and Palestrina. The evening will be introduced by “Il Baluardo” choir, conducted by Elio Antichi. 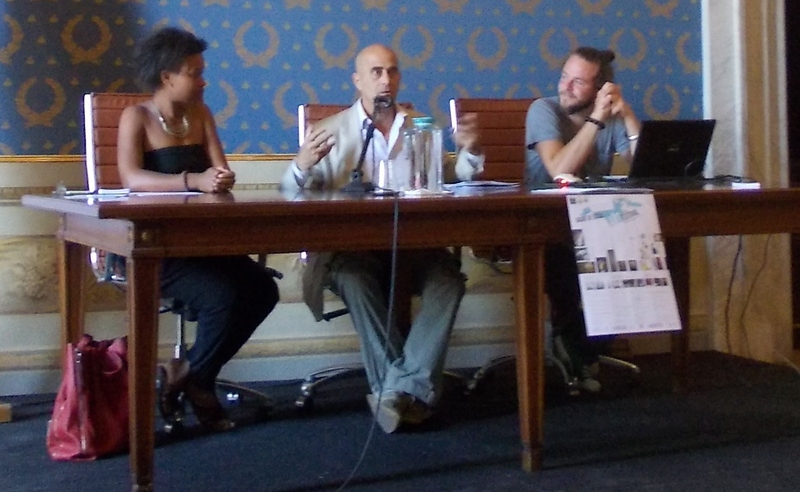 On June 22nd, in Castelnuovo Garfagnana, the IAM festival starts with musicians from five continents. The program (see next page) includes, on Tuesday, July 1st (9.15 pm, Capuchin Church of Castelnuovo), an evening of performances by the teachers; Thursday 3rd (5.30 pm, Saletta Suffredini Castelnuovo) recital by student Alexander Bolotin. 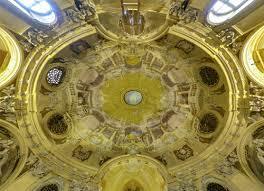 At 9.15 pm (Capuchin Church of Castelnuovo) an evening recital by the teachers. 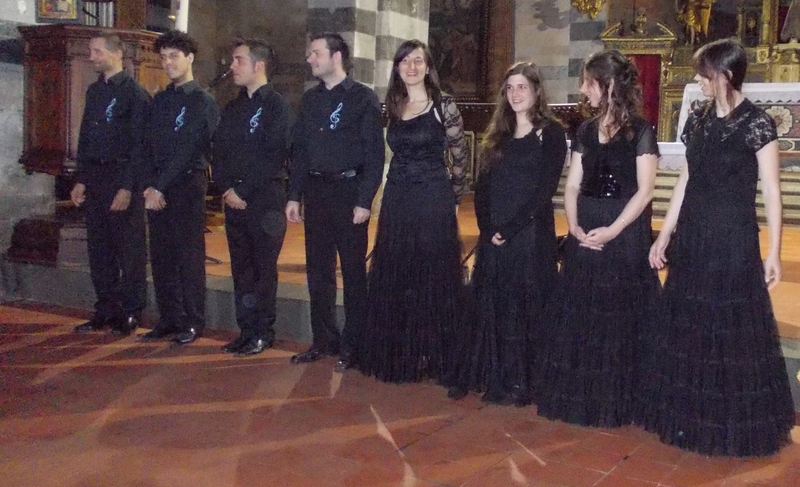 Friday 4th (5.30 pm), at the Palazzo Ducale in Lucca, a special “Students’ Gala” with free entry. Saturday, 5th, from 5.30 pm onwards, students’ outdoor concerts in the centre of Castelnuovo Garfagnana. Sunday 6th (9.15 pm, Teatro Alfieri Castelnuovo) evening with the Orchestra of the “International Academy of Music”. Monday, 7th (9.15 pm, Teatro Alfieri) final concert with the students. On Sunday 6th, in the church of Pieve a Elici, the Versilia chamber music festival returns with a performance by the La Scala Quartet of works by Mozart, Beethoven, Webern and Ravel. On Saturday, 12th, Francesca Dego (violin) and Francesca Leonardi (piano) play Beethoven. On Sunday, 20th pianist Giuseppe Albanese returns to play music by Mendelssohn, Schubert and Liszt. The festival ends on Sunday 27th with a performance by a trio consisting of Elisa Eleonora Papandrea (violin), Monaldo Braconi (piano) and Alessandro Carbonare (clarinet) who play Stravinsky, Gershwin, Poulenc, Stefano Priolo and Kuttenberger. All concerts start at 9.15 pm. Please note that on Monday 7th (9 pm) AML is programming a concert at the Auditorium del Suffragio (Lucca) , with the “Boccherini” institute, to commemorate the pianist Sonja Pahor who died in July last year. Performing will be many artists and former colleagues of the Conservatory. Free admission. More information available on phone no: 0583 469960. In July concerts in the Oratorio degli Angeli Custodi continue. The previously announced concert on Saturday 6th (From Argentine Tango to film music) has been postponed. Sunday 20th, young pianist Aldo Lucca Dotto will play music by Beethoven, Schubert and Chopin. Saturday 26th will be devoted to contemporary music by young composers who are winners of the Counterpoint competition from America. On Sunday 27th there’s a recital by flautist Linda Di Martino Wetherill and guitarist Fernando Maglia. 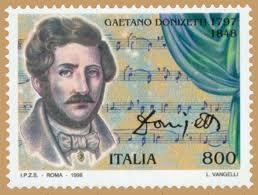 All concerts start at 9 pm; Tickets from € 5 to € 12: Info: http://www.iconcertidegliangeli.com. On Monday 7th, at 9.15 pm, in the church of St. Michele Arcangelo, the thirty-third “Corsanico Festival”, an international classical music festival organized by the “Vincenzo Colonna” friends of organ music, starts. The festival opens with the “Cheltenham Choir” conducted by Gordon Busbridge, with organist Alexander Ffinch (free admission); Friday 11th, an evening dedicated to movie soundtracks with the “Nello Salza Ensemble” (admission € 10); Friday 18th, “Music Régia” with the King’s Peterborough Orchestra, conductor and organist Nicholas Kerrison (free admission); Tuesday 22nd, guitar duo Flavio Cucchi and Shinobu Sugawara will perform a repertoire ranging from contemporary music to Boccherini (admission € 10); Saturday 26th, “I Solisti dell ‘Orchestra da Camera Fiorentina” will play baroque music. Concerts continue through August. Starting the nineteenth “Città di Camaiore” organ festival on Wednesday 23rd in the Church of the Badia di Camaiore there’s an organ recital by Adriano Falcioni. Monday 28th, in the Collegiate Church of S. Maria Asssunta, an evening “In memory of Don Angelo Bevilacqua” with Angelo Spinelli’s Requiem Mass for male voices and organ, with the men from Lucca cathedral’s “Santa Cecilia” choir conducted by Luca Bacci (organist Julia Biagetti). The concerts, which continue in August, are at 9.15 pm. Entrance fee: € 5. The event is promoted by the “Marco Santucci” association and the comune of Camaiore in collaboration with the Bank Foundations of Lucca. The “G. Puccini” Filarmonica from Colle di Compito performs a “Concert under the Stars” on Thursday, 3rd in the Piazzetta del Santuario at Colle di Compito. The band will play light and modern pieces, many arranged by Carlo Pucci and will be accompanied by lively majorettes (see photo). The concert will be repeated on July 10th at the Centro Culturale Compitese (via Fonda 1). Free admission. Saturday 12th (9.30 pm Parish Church of Camigliano) will be the first evening of the 36th Camigliano Choral festival, sponsored by Camigliano’s “G. Puccini” choir with the patronage of Capannori. The “Puccini” Choir, conducted by Luigi Della Maggiora, will open the evening, followed by the “Voci del Serchio” choir conducted by Ugo Menconi (with a popular Italian and international repertoire) and the “Coro del Noce” from the Trentino conducted by John Cristoforetti (see photo), who will delight us with traditional folk songs of the mountains. Free admission. Throughout the summer, the Botanical Garden of Lucca will have weekly concerts and events sponsored by the City in collaboration with institutions and associations. Friday, July 4th, concert for the bicentenary of Adolphe Sax’s birth, with the Timeless Saxophone Quartet and Hector Bonafè. Friday 11th, evening “Arti sotto l’albero”, Italian and South American music by Alessandro Orsi; 18th, guitarist Edoardo Pieri and flautist Filippo Del Noce will perform (see picture) and on Sunday 20th there’s “Gioco di specchi” by Stefano Massini, a theatrical performance directed by Ciro Masella with Marco Brinzi and Ciro Masella. Friday, 25th, “Journey into film music” with pianist and arranger Luigi Nicolini. The “Catalani” Circle of Friends of Music is organizing for Saturday, 12th at 7 pm an evening entitled “Invitation to dinner with Puccini – Concert,” followed by a “Puccini” dinner, at the Puccini Restaurant Piazza Cittadella, based on Luccan dishes loved and appreciated by the Master. Soprano Valentina Piovano and tenor Alessandro Fantoni sing Puccini, Lehar, Rota, Catalani, Pietri, accompanied on the piano by Marco Ferruzzi. The “Catalani” Circle is organising on the 26th a trip to the Torre Del Lago theatre, to see Puccini’s La Bohème. Information on 347 9981851. For the inauguration of the Church of Santa Caterina di Lucca, returned to the city after its restoration, on Wednesday 9th at 9 pm there’s a preview entitled “Dittico Sacro”: a theatrical video divided into two minimodrammi composed by Girolamo Deraco on libretti by Deborah Pioli: “Vidi Arcana Dei” for reciting soprano and bass drum, and “Stabat Mater” for soprano, narrator and video premiere. The show will make use of multimedia installations by director Nino Cannatà and will be performed by soprano Maria Elena Romanazzi and percussionist Matteo Cammisa. 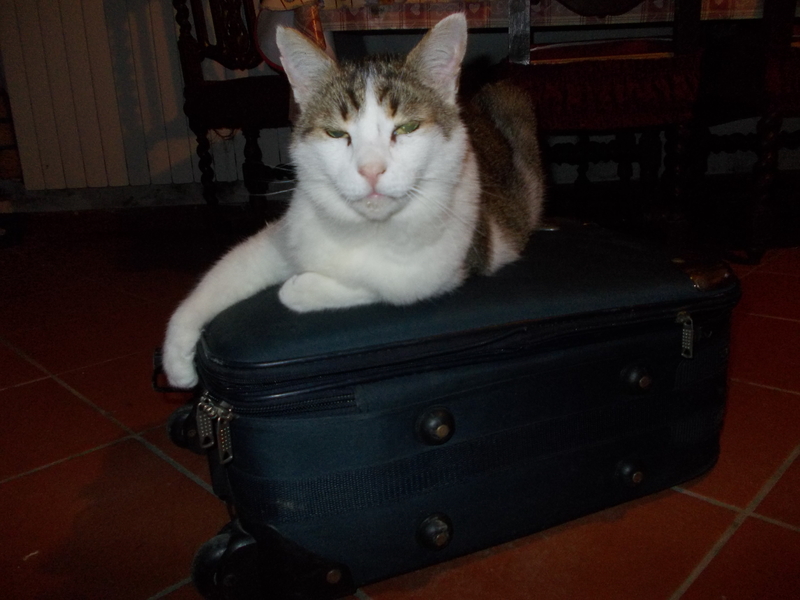 When I packed my suitcase on the 10th of this month to attend a family event in London I was made to realize that I’d left out an important item but as he had no passport I had to leave Napoleone behind. Anyway, both of these ports of entry into the UK are worthy of its great history of engineering skills in a way which Heathrow airport and Victoria station are not! What is less worthy are the train fares in the UK. 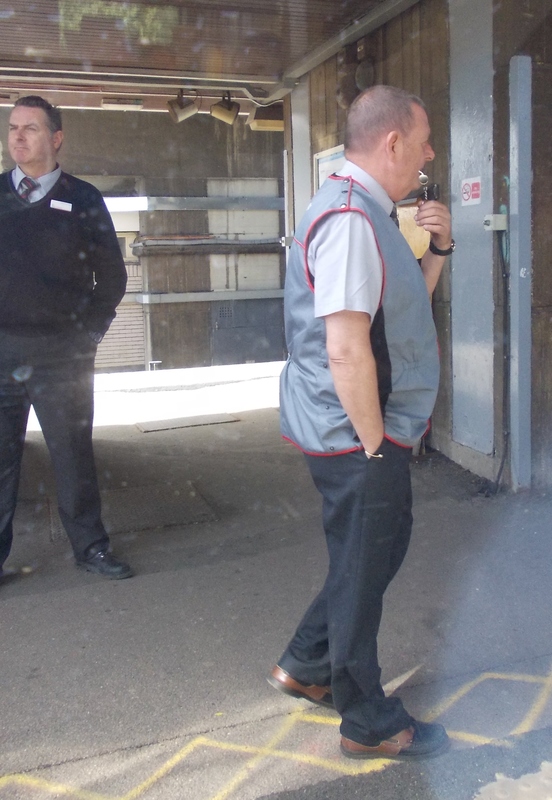 Either one spends six pounds on a terror Terravision bus or twenty-four pounds on a railway single ticket! 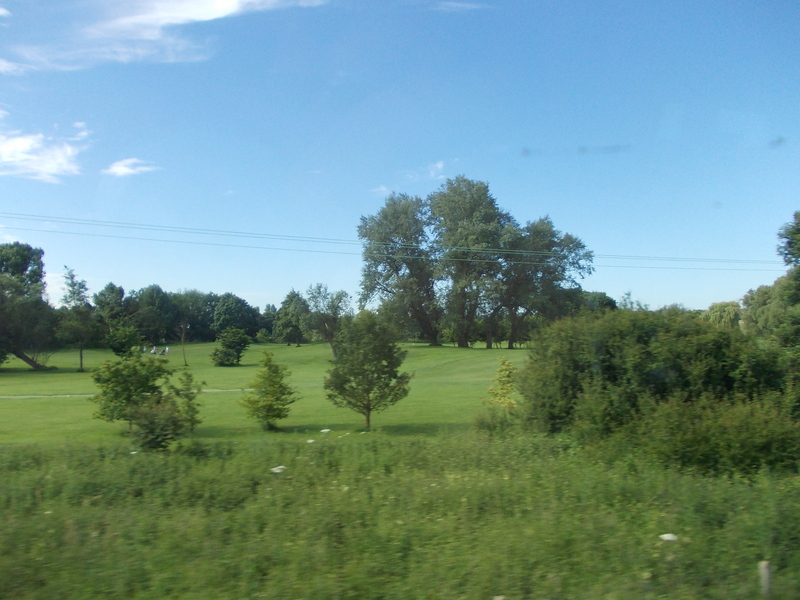 When I gasped at the price for a thirty-six mile train journey the ticket issuer agreed with me saying it was disgustingly high and would only please the likes of share-holders. However, since there were major traffic hold-ups around London (I’d taken an early (6 am flight) from Pisa to save on fares and, of course, arrived just in time for the rush hour!) I took the train instead. I was glad to see that there were still station platform whistle-blowers around. No, this is not a picture from Banaras but from a North London inner suburb I was travelling to, quite near Neasden town centre. 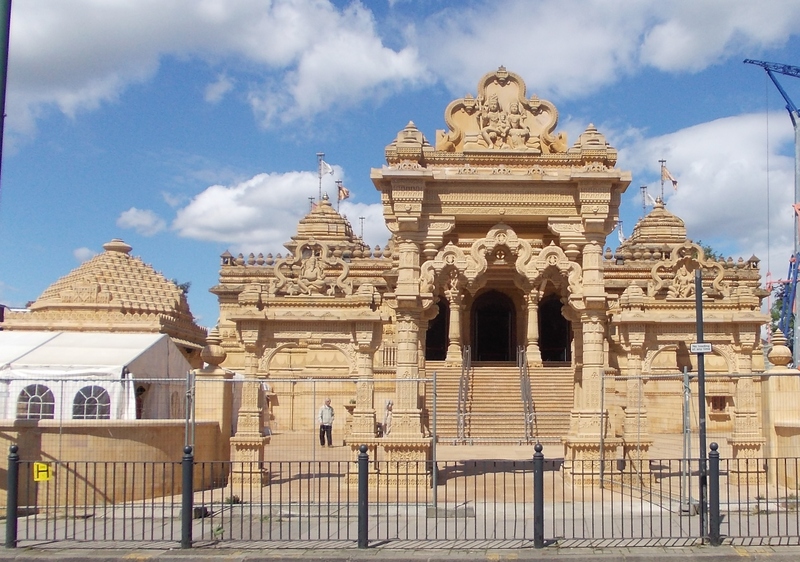 How could “Private Eye” have belittled that place with its marvellously executed Hindu temple? If one has just five days to spend in London then one should clearly spend them wisely. 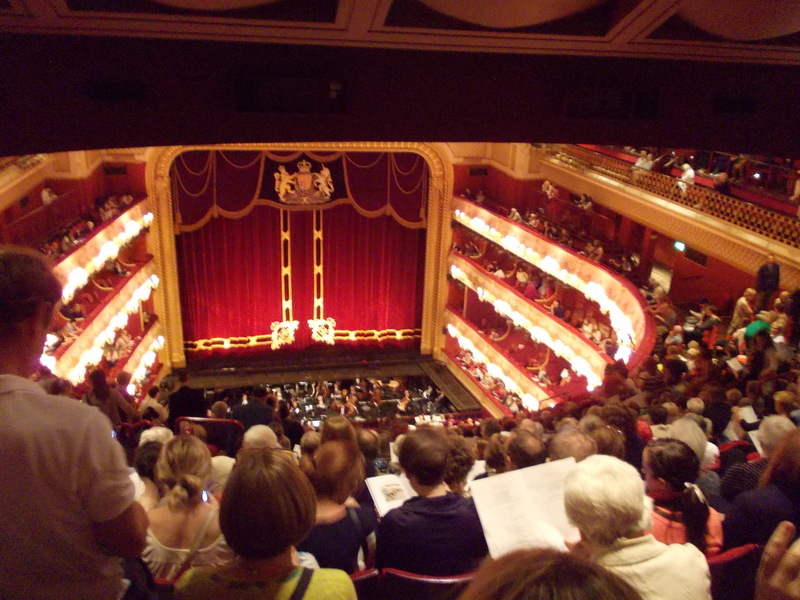 On our first evening we attended a triple bill at the Royal Ballet (booked beforehand, of course). The evening was an absolute delight. 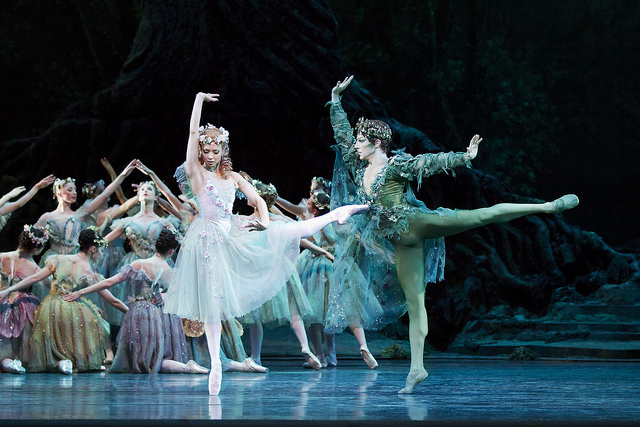 First was Ashton’s “The Dream” based on Shakespeare’s “Midsummer night’s dream” with music by Mendelssohn and arranged by Lanchberry. A modern minimalist piece followed with transcendental music by Arvo Part. 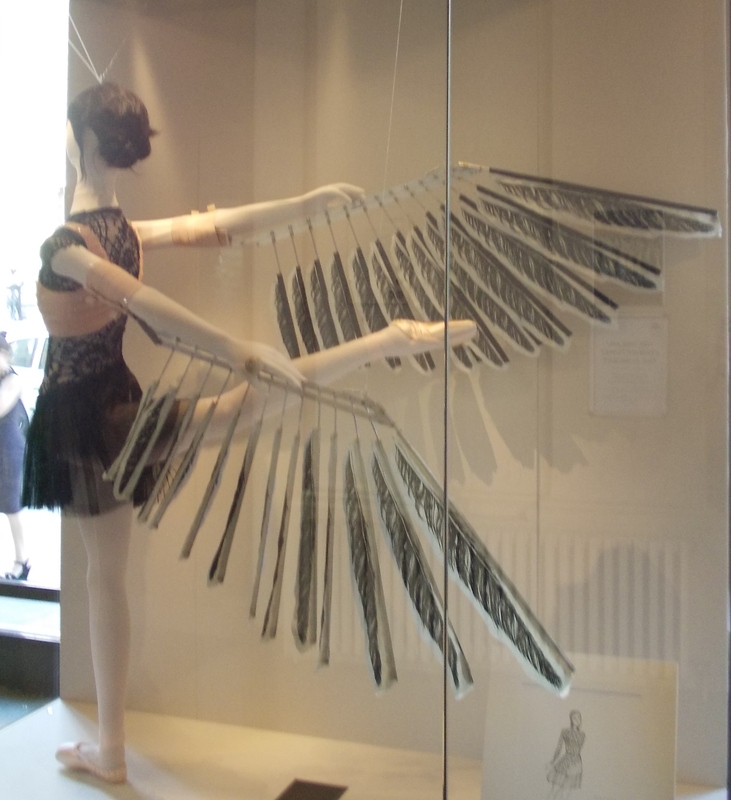 The final ballet was a hilarious take-off of a serious Chopin piano recital with the wandering thoughts of the audience, whether they be malevolent or romantic, actually personified in the ballet. I realised that, in Italy, not only was I missing live Wagner but also a great dance company. Covent Garden station still has lifts instead of escalators and two of these were being replaced. So to return home we decided to take the Piccadilly line from Green Park and hopped on a bus to get there. 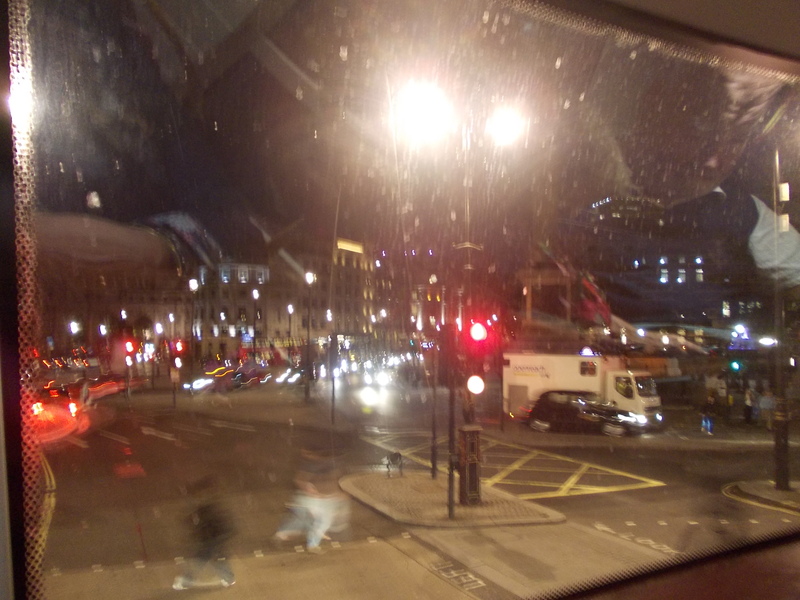 Armed with my oyster card public transport in London was no problem and on the front seat of the top deck of a new “Boris” bus I got nice views of London by night. It seemed almost unbelievable that I had started the day so early in a remote Apennine valley, making sure the ducks and cats were adequately catered for with food and water and finished up in the upper stalls of the royal opera house delighting in the performance of the best ballet company of the world. Must do this more often. I thought. I’m now entering into my tenth year of residence in Italy. 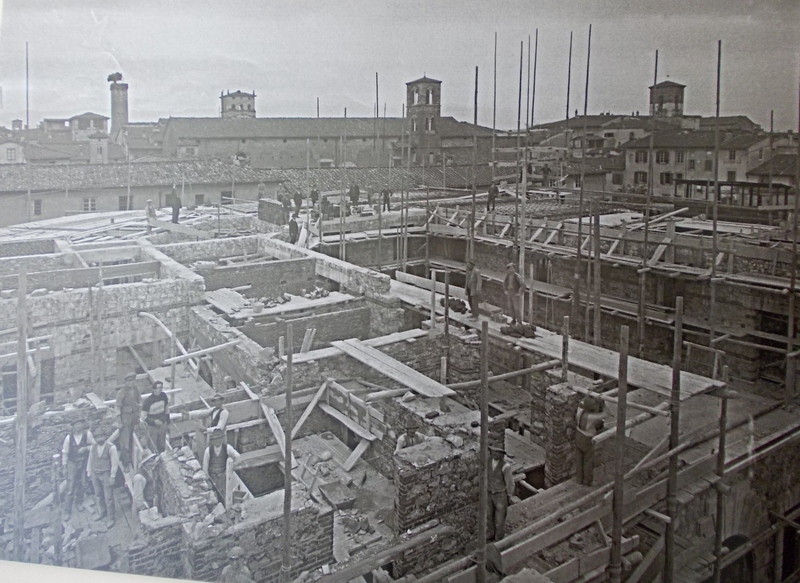 During this time I have found something of the true Italy, if not always by very patient observation, then by immersing myself into the swimming pool of Italian life, both in leisure and in work. In the field of education I have experienced teaching the third years of secondary education, just before they enter into the various Licei which divide up Italian youth, the boisterous energy of the technical colleges, the more relaxed pace of the adult evening classes, the intensive pace set by private profit-making institutions, private pupils in ones twos and threes, elegant and intelligent courses run in business environments… Indeed, in the field of education my experiences, though shorter, have been much more varied that in the UK where, for the most part, I taught in a community college. 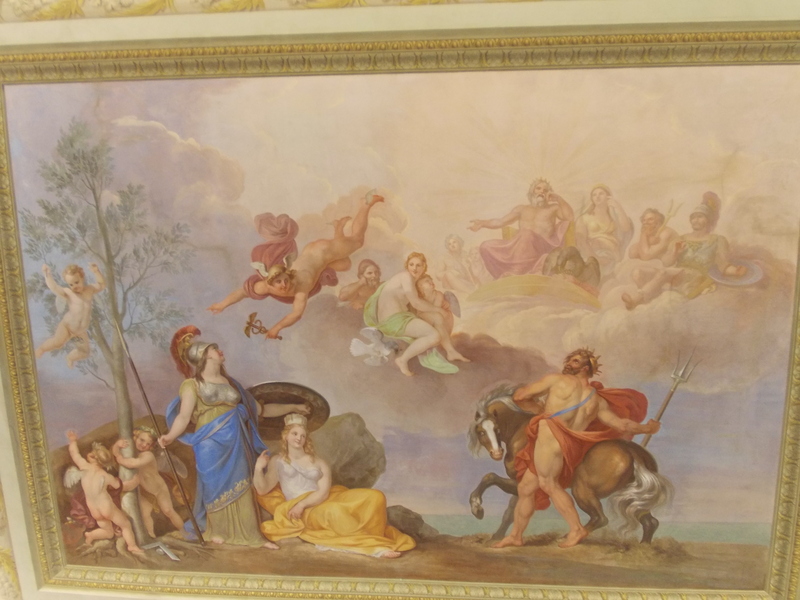 On Monday I wanted to find out where I would have to defend myself and it was quite near to the palace where that extraordinary golden bedroom can be found and where Lucca’s main art gallery is situated – the palazzo Mansi in Via Galli-Tassi. The tribunale di Lucca is a very pleasant building, originally designed by the great architect Giuseppe Pardini in the nineteenth century, and expanded in more modern times but still in Pardini’s neo-classical style. The corridors are long and filled with interesting old filing cabinets. The interior courtyard has beautiful views over the Pisan Mountain. I asked for some information and was directed to a particular department. This department stated that it was not their responsibility and that I should go to another department on the second floor. This department re-directed me to a room further along. When I reached this room I was told to go to another section as a form was required for the information I required. When I reached that section it was… closed. In other words, an excellent simulation of the circumlocution office as described in the great Charles Dickens’ novel “Little Dorrit” and also hinted at in the Jarndyce v Jarndyce case in “Bleak House”!. When I returned home I realised that the tribunal also has a web site and information can be requested through an application form. Perhaps I’ll try that now. Ladies, imagine walking through a thick forest, climbing up a steep hill and then coming across a ruined castle and falling in love with it. Imagine, then, having a rich husband who not only will buy up the hill but also provide sufficient funds to restore the castle to its former grandeur. Imagine finally that the castle and its location take off successfully, not only as one’s own home, but also as an exclusive holiday resort and conference centre. 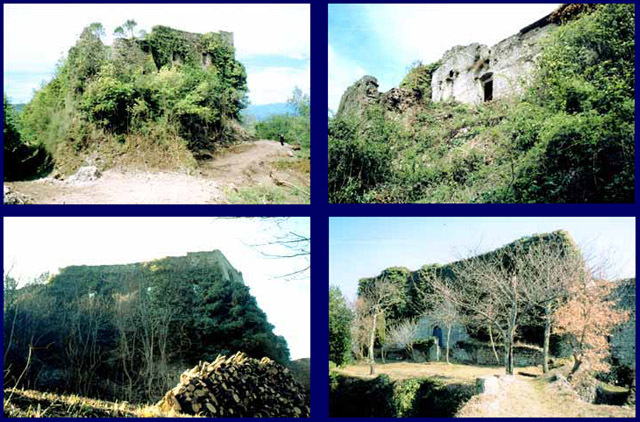 This, in brief, is the story behind the Castello dell ‘Aquila (Eagle Castle) which lies just to the north of the Garfagnana in that castle-ridden area called Lunigiana. The Castle overlooks the mediaeval village of Gragnola which is on the railway line going all the way from Lucca to Aulla. Its origins go back to the times when pilgrims would travel along the via Francigena to reach Rome and it is first mentioned in 1366. 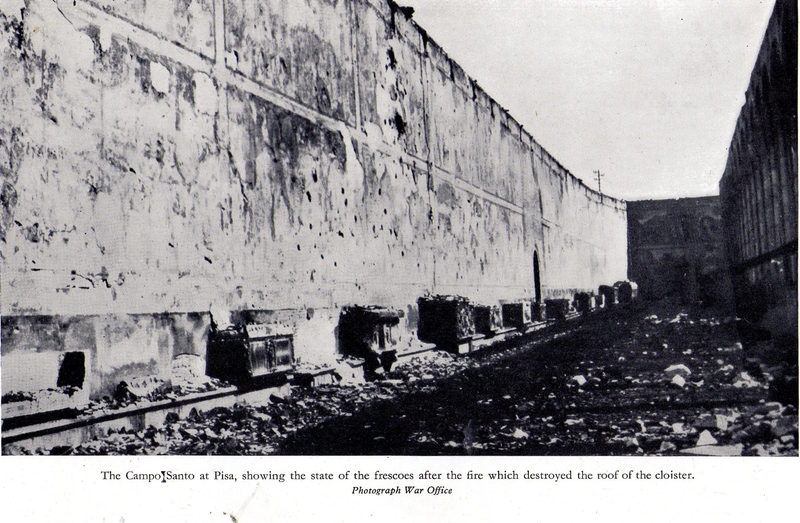 The families that owned the castle came from branches of the Malaspina. Its founder-builder was Galeotto di Fosdinovo (1352-1367) who was succeeded by his son Leonardo I (1393-1403). The family died out in the first half of the fifteenth century and was succeeded by Lazaro, son of Antonio Alberico Marquis of Fosdinovo. 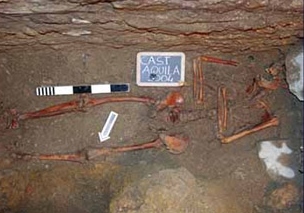 This family, too, died out in the first half of the seventeenth century and the castle was abandoned to the elements until rediscovered by the current owner who hails from the Veneto region. The second occasion was in winter and the castle, again, did not fail to amaze. The views from the castle are quite sublime, encompassing the Apuan and Apennine ranges. The guests’ rooms are tastefully furnished with many antique pieces. There is a great hall and a chapel which are used for conferences, mediaeval banquets, marriages, concerts and other events. When I was a kid I used to read the “adventure” series by then popular children’s author Enid Blyton. I was particularly gripped by “The castle of adventure”. 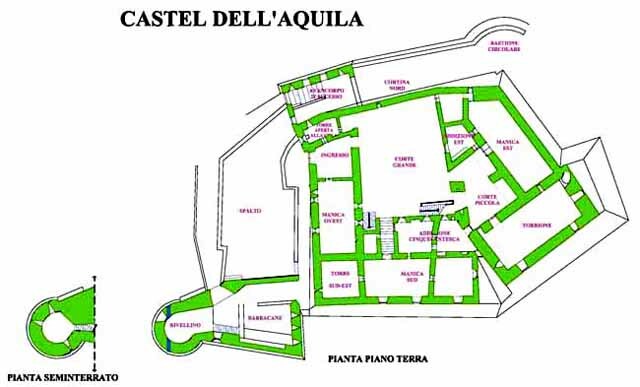 It seemed to me that, visiting the Castello dell ‘Aquila, I had truly come across the prototype of such a castle! For more information on the castle see its web site at: http://www.castellodellaquila.it/castelloaquila/. During the Christmastime of 1984 BBC’s Radio 3 produced a wonderful set of broadcasts with the title “Octave of the Nativity”: ten liturgical reconstructions of the Masses for that season, with introductions by Cormac Rigby. The Masses reconstructed dated from early plainsong to the most complex high renaissance polyphony and included choirs from the continent. The high Mass from St Peter’s Rome, however, did not feature the Sistine Chapel choir. Upon enquiry I found the reason why that choir wasn’t asked to sing was that it was not considered of “recordable quality”. The BBC was correct. I still have in my possession a vinyl record of the Vatican choir dating from the 1960’s and it sounds absolutely terrible. Much of the reason is that it sings like a collection of operatic soloists rather than a homogeneous entity and the respect due to period performance practises are absolutely nil. I wonder if it has since improved. In the 1970’s British choirs brought themselves up-to-date with genuine performance practise – for example, reducing formerly mammoth numbers in Handel’s Messiah – and spawned a number of smaller vocal groups. I particularly enjoyed the Consort of Music under Anthony Rooley and Harry Cristophers’ the Sixteen. It would have seemed on the borders of impossibility to imagine that, in this current age and place, in one of the remotest valleys of Central Italy, I would have been able to hear a local vocal group that could compete successfully with the stratospheric standards of the greatest English choirs. In the immaculate setting of the Pieve di Loppia (for more on this marvellous building do see my post on it at https://longoio.wordpress.com/2014/04/22/the-loppia-lo) the “gruppo vocale Gli Stereotipi” (web site at http://www.stereo-tipi.it/Stereo_Tipi_Gruppo_Vocale/Home.html) performed a recital of music ranging from the strictest renaissance a Capella, through baroque pieces, visiting the English shores with Purcell, the German heartland with Rheinberger and contemporary America with Whiteacre to finish up in South Africa. The group consists of Lia Salotti, Serena Salotti, Valentina Simonelli, Giulia Manfredini, Andrea Salvoni, Morando Bertoncini, Martino Biondi, Gioele Tomei. I have been involved in music making with several of these members: in particular, Lia Salotti who runs the Civic School of Music at Borgo di Mozzano (Facebook page at https://www.facebook.com/pages/Scuola-Civica-di-Musica-MSalotti-di-Borgo-a-Mozzano/283857698298922) who got us up to scratch for the memorable concert we gave at the convent of San Francesco at Borgo for Christmas 2012. I was stunned again at Loppia by the near-perfection of the Stereotipi’s performances. Period stylistic practises were fully adhered to, difficult enharmonic changes were steered through with aplomb, and the togetherness of the voices was extraordinarily pleasing. Moreover, the introduction of a theme to the recital “From Dawn to Dawn” was genial. Each piece described the journey from dawn to noon to evening and night, waking up the following morning in a resurrection of life itself. The Stereotipi realise that every recital can be even more effective if it has a coordinating theme to lift it into almost philosophical as well as musical heavens. I am so glad that one of the Stereotipi’s members, Andrea Salvoni, is our choirmaster with our San Pietro and Paolo di Ghivizzano choir. He knows what he wants from us because he has achieved it singing with the Stereotipi, one of the finest “gruppi vocali” I have heard in Italy so far. Hearing the high standards of the “Stereotipi” (which title I find a playful use of the word since they are quite the opposite of stereotypes!) I do not feel that brits need suffer from culture shock when they listen to these singers upon return to Italy from Evensong in one of the great English cathedrals. More and more choirs and vocal groups in Italy are approaching “recordable quality”, thanks to the much higher standards of musical training, and this country should be proud of that. Only recently I received a comment about our own choir from stern critic, Francesco Cipriano, the editor of LuccaMusica music events magazine, where he affirms “some choirs from the remotest villages in our mountains can stand comparison with and even in some cases surpass many northern choirs”. It’s true that DOC music should be played or sung to best effect by DOC musicians. But if Italy, with Colombini, can produce a very valid rendition of Elgar or Vaughan-Williams then the Stereotipi can produce an effective performance of a Purcell anthem too. Do look out for their next recital (consult their web site) and help to ensure the venue gets packed as it deserves to be (and shamefully wasn’t at Loppia, probably because of poor publicity) when these guys and dolls are performing!